A comprehensive selection of exceptional rectangular baths. These are available in a wide range of styles and sizes, all designed to be fitted with our Pegasus™ whirlpool systems. 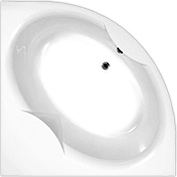 All baths are manufactured from high quality 5mm acrylic with either a standard or “Super-Reinforced” membrane. A choice of outstanding, luxury baths for one or two people. 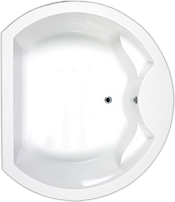 All baths are manufactured from high quality 5mm Acrylic with either a standard or "Super-Reinforced" membrane. Baths marked with a C are from the ClearGreen range, using encapsulated recycled composite baseboards, which are stronger than chipboard and greener too! ClearGreen baths use reinforced quality ICI Lucite acrylic and ClearGreen microsphere particles for extra strength. Guaranteed against any manufacturing defects for 10 years.